The Legal Insight You Need. The Friendly Service You Deserve. If, like us, you live in or near Monroe, North Carolina, you know that we are a tight-knit community. 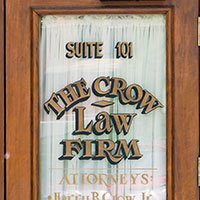 Maybe it’s because of our ties to the area, maybe it’s because we’re a family firm, or maybe it’s just because of who we are as people, but we at The Crow Law Firm like to make our office feel just as warm and welcoming. For us, it’s easy for us to achieve this simple goal. After all, we have two things that our clients really need: a strong understanding of North Carolina law and a genuine desire to make their lives easier. Let’s get more specific. If you have a legal question or concern that involves bankruptcy (or debt relief in general), defending a traffic ticket, planning your estate, or administering the estate of a loved one (also known as “probate”), we are the people to call. Not only do we have vast experience in these areas of law, but even more importantly, we understand how big of an impact these concerns can have on your life and your family. Our job is to make sure you fully understand your options so you can overcome those concerns with confidence and as little stress as possible. Thoughtful Attorneys. Personalized Debt Relief Solutions. Whereas other law firms may treat cases like products on an assembly line, we know that there is a person on the other end who needs our support and guidance to get back on their feet. That’s why we take the time to understand their situation and only recommend legal strategies that our experience has proven to be effective. In case you’re wondering about that experience, allow us to elaborate. Between the three attorneys at our firm (Harry, Matthew, and Marcus), we hold more than 75 years of legal knowledge within our walls. Rest assured — each piece of advice we offer is well-founded. Debt creeps up on us all, so don’t feel disheartened if it’s happening to you. Talk to us about whether Chapter 7 bankruptcy, Chapter 13 bankruptcy, or another debt solution is right for you. Before paying up on a traffic violation such as speeding, texting while driving, or reckless driving, talk to us about whether we can help you reduce or eliminate the consequences. Every day, we help North Carolinians establish their wills, trusts, powers of attorney, and health care directives. Likewise, we take the burden of estate administration (aka “probate”) off their hands. 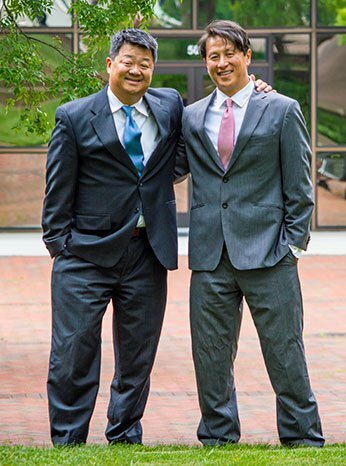 Our team of Monroe bankruptcy attorneys truly is a family, and we treat our clients the way we would treat our own friends and family members. We work collaboratively on all of our cases, giving you the benefit of multiple attorneys in a comfortable, small-firm atmosphere. In other words, with us you three legal minds for the price of one — not to mention a friendly team. Start your case off right; come see us to discuss your case in a relaxed, no-pressure environment. Whether you’re seeking debt relief, the preservation of your good driving record, or customized estate planning solutions, we can help. One of our attorneys will personally meet with you during an in-depth initial consultation. Call, stop by, or send us a message today to get started. From there, we can set up a time to meet, which will give you the chance to get all your questions answered.